Most of the time, dormitories and apartments do not allow students to leave their belongings over summer. This gives the students headaches wondering what to do with their stuff. It’s either the students will look for a place to store their belongings or move it back home. Renting a self storage unit can give you a place to store your belongings. Rather than bring it back home and move it back again when classes start. It will save you time and money as well as it’s hassle-free. You can just bring the things you need. Then leave the rest of it in a Self Storage unit. Your belongings will be safe as it awaits you when school starts again. If you find this option useful, then you may consider some more useful self storage tips for renting students like you. Many Self Storage facilities are all around the corner that offers different services. But you need to do some research and check which facilities offer the best services. You may consider the distance it can take you from your place to that self storage facility. Bear in mind the facility’s accessibility and most importantly the security it offers. Macy’s Moblie Self Storage offers affordable self storage service in Sydney with 6 days a week access to your stored items. It’s a security facility that will assure you that your items are safe and protected. You can use your own lock so only you will have access to your belongings. Know exactly what storage size you need. Note that the bigger the size of the Self Storage unit, the higher the price. So better plan and check what unit size fits all your belongings. Always remember that choosing the right and suitable Self Storage unit for your needs can make your moving easier. Thus, giving you enough space to pack all your items. Packing your items smartly can avoid hassle and damages to your belongings during the transfer. For instance, packing your books together with your small items in a single box could prevent you from carrying heavy boxes. While packing items like clothing, blankets, and other related stuff in a separate box together makes it less hassle. Also, wrapping fragile items with some newspaper can avoid cracks of your items. These simple self storage tips for renting students can help you from damaging your items during the transfer. An organised way of packing gives you the convenience to find your items easily. Labelling your items prevents you from confusion on which box contains what. In packing your belongings, always make sure that you have organised and place it in its corresponding boxes. And you have to put some marking/labels per box items as well. It will avoid you from confusion when you look for some items you need to use at times. Pack everything along the walls of your Self Storage unit. And leave a centre path for you to move comfortably. Make use of Self Storage space wisely. Arranging your items from big boxes at the bottom up to small boxes on the top could be an effective way to make use of your self storage space. In choosing a self storage facility, one thing that you need to consider is the security it offers. It is quite risky to leave your belongings in a place with poor security facilities. So, it’s better to check if the Self Storage unit you rent is reliable and safe. Above all, always keep with you your own key to make sure you can access your belonging anytime you need. Students with the same problem may find themselves looking for an accessible self storage. And you may find it too late for you to look for a place to store your belongings. So, take note of this self storage tips for renting students. It is better to look for Self Storage facility ahead of time to avoid this problem. Thus, you can assure that you have secured the right space for you. Summer break and graduation season is fast approaching. In some point, space storage during this season has always been a problem to renting students. Hence, one effective solution to this problem is to have a self storage unit. And now it’s time to look and search for a self storage facility that makes this transition period more efficient for you. For renting students all over Sydney, Macy’s Mobile Self Storage offers a unique service that is designed to exceed your expectations when it comes to self storage. Worry less with your belongings as Macy’s facility will keep your belongings safe and protected. 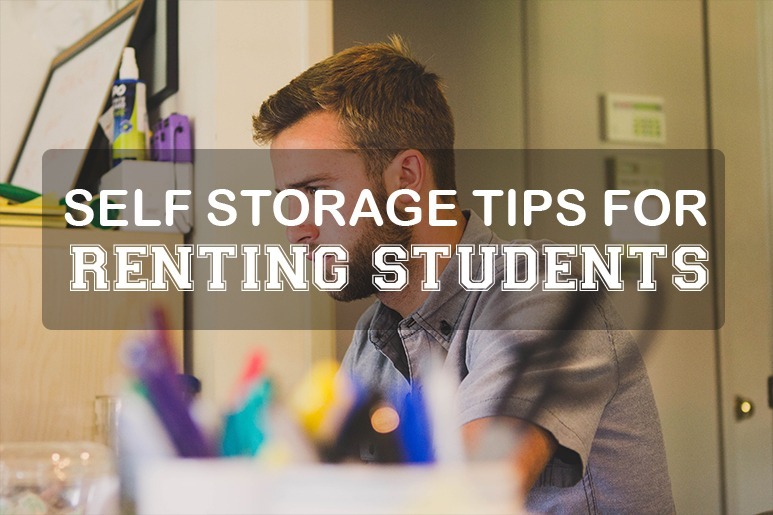 Moreover, make sure to remember these self storage tips for renting students. They can really come in handy especially for you. Do you have questions about Self Storage Tips for Renting Students? Check out more blogs in our blog section, or simply browse the whole site for more information. You may call us directly as well for a more personalise enquiry. Call 1300 40 90 69 and book your appointment in advance. This entry was posted in Storage and tagged self storage, self storage facility, self storage module, self storage units.